Recognized as a world leader in quality and innovation, Nelson Irrigation is focused on providing exceptional irrigation products – including Rotator® Sprinklers, Control Valves, Pressure Regulators, and Big Gun® Sprinklers – for agricultural and industrial applications. Nelson products have a solid reputation in the industry due to a rigorous quality assurance program and the company’s enduring commitment to workmanship and customer service. 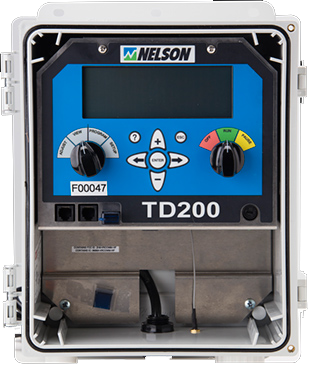 The TD200 Controller is an easy to learn and easy to use device that controls TWIGs, either individually or in groups. 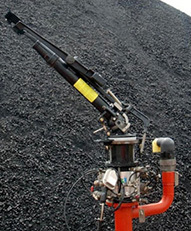 Controls up to 100 TWIGs and 200 valves, individually or in groups, to handle very large systems. Reliable, two-way data transfer every 20 seconds. Multiple start times with multiple irrigation programs, easy to set up and use. Irrigation events and water meter readings can be data logged. Optional power sources: 110 Volt AC, or 12 volt DC battery with solar charger. Reads actual battery and radio signal strength of each TWIG in the network. TD200 has a factory assigned “network I.D.” that is the network that the TWIGs will join. Proper air and water control are essential to an efficient irrigation system. Improper hydraulic design of your irrigation system can lead to pressure fluctuations and water hammer which can damage pumps, break pipes, and decrease flow efficiency. 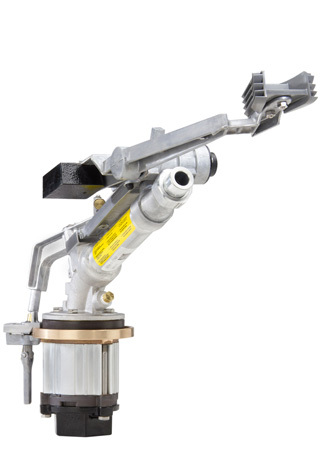 For a functional, efficient system that you can depend on, install Nelson Control Valves. Save water, save energy, and do a better job of irrigating. 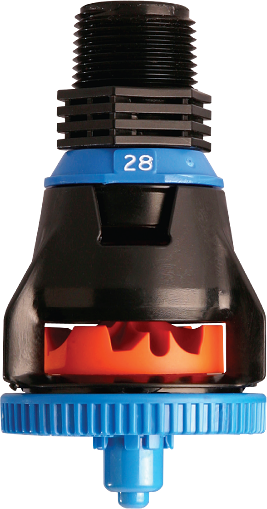 Nelson offers the most complete line of advanced sprinkler technology for mechanized irrigation systems. Recognizing that no one sprinkler is right for every application, Nelson’s sprinkler technology is configurable to deliver your best solution. To maximize your agricultural irrigation system efforts, the Nelson Irrigation line of Pivot and Linear Sprinklers has the solution to your agricultural needs. The sturdy drive arm accompanied by the large impact surface allows for a consistent drive mechanism. 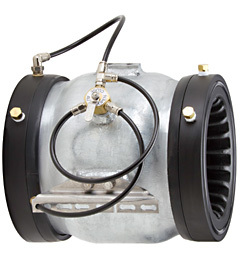 The stainless steel arm and spring pin withstand even dirty water conditions, while its heavy-duty bearing contributes to a long life. 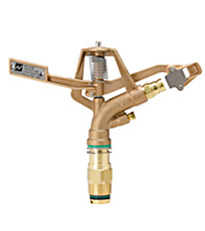 Impacts are available with Nelson’s famous FCN® Flow Control Nozzle to equalize flow rate under fluctuating pressure. Recognized as a world leader in quality and innovation, Nelson Irrigation Corporation is focused on providing exceptional products – including Rotator® sprinklers, pressure regulators, control valves and Big Gun® sprinklers – for agricultural and industrial applications. Nelson products have a solid reputation due to a rigorous quality assurance program and the company’s enduring commitment to workmanship and customer service. State-of-the-art technologies, such as CNC machinery, robotic welding, plastic injection molding and automated assembly, provide a consistently superior product. A dedicated R&D team works closely with the customer at all levels and develops new products while also improving existing products. Nelson products are supported worldwide by an experienced network of distributors and dealers.